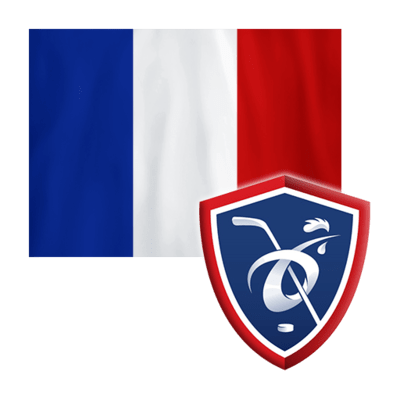 France has played only once in the Top Division of the International Ice Hockey Federation’s U20 World Junior Championships. That was in 2002, a generation ago in hockey terms. Yet several French players have made it to the NHL, including forwards Pierre-Edouard Bellemare, and Antoine Roussel, and goalie Cristobal Huet. Is France, promoted to Division IA after winning Division IB in 2016, ready for a breakthrough in international play and an upsurge in NHL presence? Maybe not quite yet. The French finished last year with one regulation win, two regulation losses, one overtime win, and one overtime loss, good for a middle-of-the-pack fourth place finish. So it’s going to take a little more time. France’s big gun at this year’s Division IA U20 World Junior Championships in Füssen, Germany, should be Louis Boudon. The 1998-born center, who plays for the Northeast Generals of the North American Hockey League, recorded two goals and two assists in five games in last year’s world tournament. In seven international games during 2017-18, Bourdon scored twice and set up two others. Winger Louis Petit, also born in 1998, scored no goals in last year’s WJC, but he was tied for second on the team in points with four assists. Also with four points, all assists, was Alexandre Texier, a 1999-born center who was drafted in 2017 by the Columbus Blue Jackets. The French were strong in goal last year. Julian Junca recorded a 2.77 goals-against average and a .977 save percentage in three games in last year’s tournament. The 20-year-old appeared in five games total in international play in 2017-18, posting a 3.08 GAA. Gaetan Richard, a 1999-born goalie with two years of junior eligibility remaining, also saw three appearances in last year’s WJC, where he had a 3.27 GAA and a .865 save percentage. In eight games of international play, his GAA was a stingy 2.45. Defensemen Vincent Melin (no goals, three assists, even in the WJC; one goal, four assists in 10 international games; born 1998), and Enzo Guebey (1, 1, -2 in the WJC; 2, 4 in 10 international games; born 1999) are likely to be counted on the most at the blueline in the 2019 WJC. If the French are to make another run at a promotion, they will have to both protect their net better and put a few more goals in at the other end of the ice. In last year’s WJC, France’s goal differential was a -4 on 11 goals for and 15 against. That differential will likely have to be at least in the low double digits on the plus side for this team to move up.